Scope: Construction of a new 2-story public safety facility of approximately 39,500 square feet, consisting of Sally Port, adult and juvenile detention areas including booking area, cells, holding area, communication room, fitness room, locker rooms, community/training room, electrical and mechanical rooms, storage, lobby and interview room, fire apparatus and maintenance bays with associated spaces and administrative offices on the main level. “This new facility has all the bells and whistles along with a surveillance system that can pick off a license plate # from anywhere within eye shot. 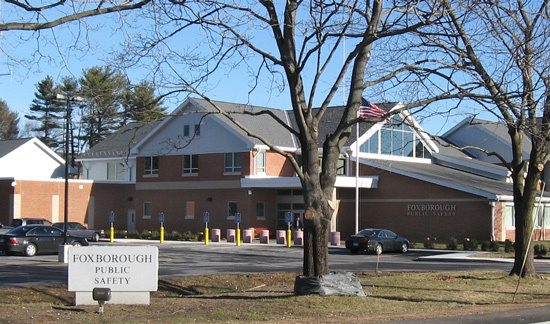 The facility was constructed to serve as the headquarters for the Police, Fire Department and the emergency management center for the town. The departments are separated and each one has unique requirements that are critical to their operations. It’s a dynamic building with many features including a state of the art communication room, remotely operated doors for the detention areas and five drive through fire apparatus bays equipped with a Plyma-vent exhaust system. The building is equipped with a training tower that is also used to hoist and dry the fire hoses. Emergency management drills are run to train firefighters to handle hazardous materials, smoke filled spaces and the operation of their safety equipment. The designed occupancy loads allow for some town growth and the building will last forever making this a very worthwhile investment for the Town.